Duro-Sense Corporation thermocouples and RTD's are known throughout the industry for their quality and reliability. 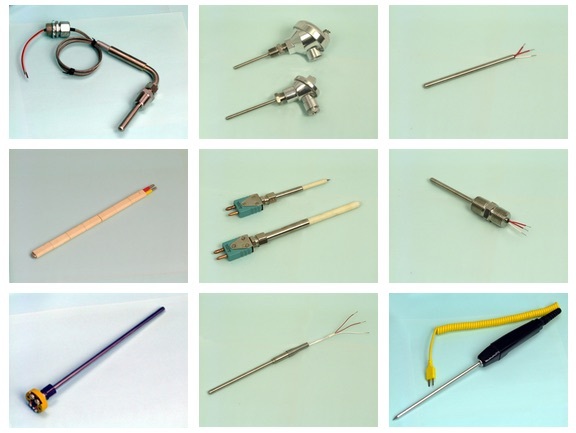 We manufacture a wide variety of temperature sensors for various industries. From simple wire and tube assemblies for the Plastics Industry, to mineral insulated and multipoint thermocouples for Aerospace and other Hi-Tech industries, to custom sensors for specific applications, Duro-Sense can design, manufacture, and deliver solutions to virtually any temperature related application. In addition to our manufacturing capabilities, Duro-Sense also offers N.I.S.T. traceable calibration on all of our temperature sensors. Our calibration laboratory conforms to ISO 10012-1:1992(E), ANSI/NCSLZ540-1-1994, AMS 2750C, ASTM E 220-96, ASTM E 230-96, and ASTM E 207-96. Our laboratory is also available to calibrate customer-furnished sensors to the same exacting standards Duro-Sense is known for throughout the world.